Description: Lime flavored OG and lucky charms marshmellow buds. 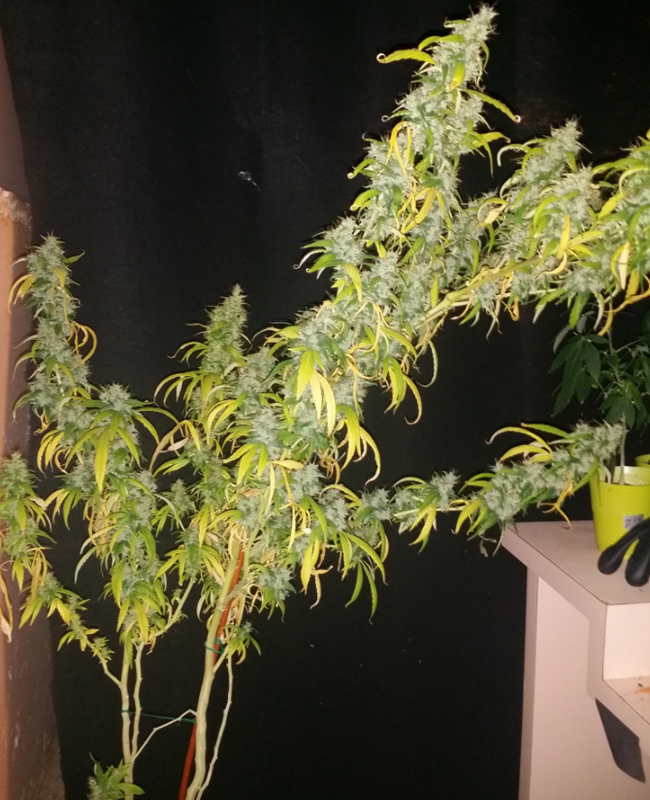 Super lanky, stretchy plant with a moderate yield. Buds are mostly dense, loud and potent. Backstory: Pure Kush has been around in Northern Orange County & Southern LA since about 1996/97. All of the “Pure Kush”, mentioned by alias above, used to be one elite clone only however today there are multiple cuts being passed. Summaries of them are below. TCPK aka Topanga Canyon Pure Kush – Appears to be a monster sized, huge yielding super dank strain with a super buzz and lime flavored buds that lack marshmellow flavor but is more “sweet” or “candy” in flavor. 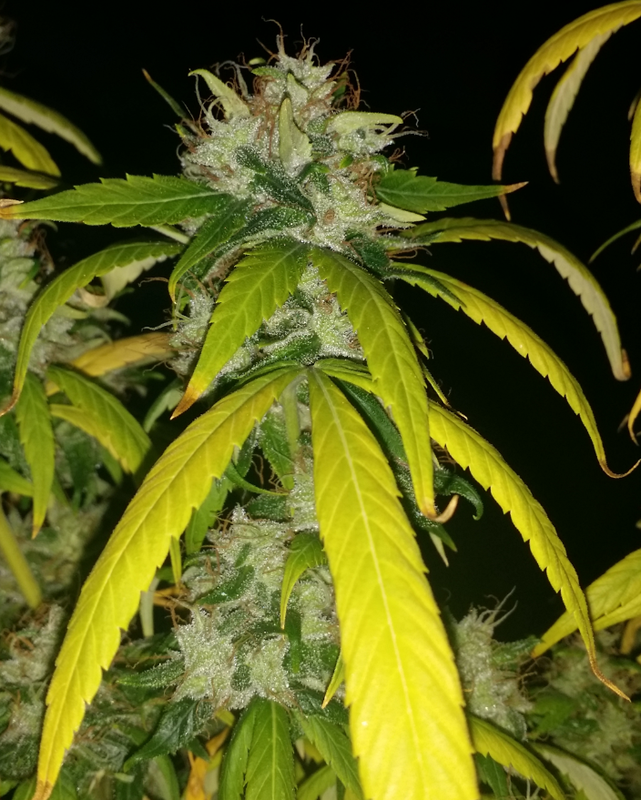 91 Hollywood Pure Kush – A moderate sized plant with super glossy leaves with a more og, lime flavor to it. Malibu Pure Kush – I have not grown it or smoked it yet I dont think? 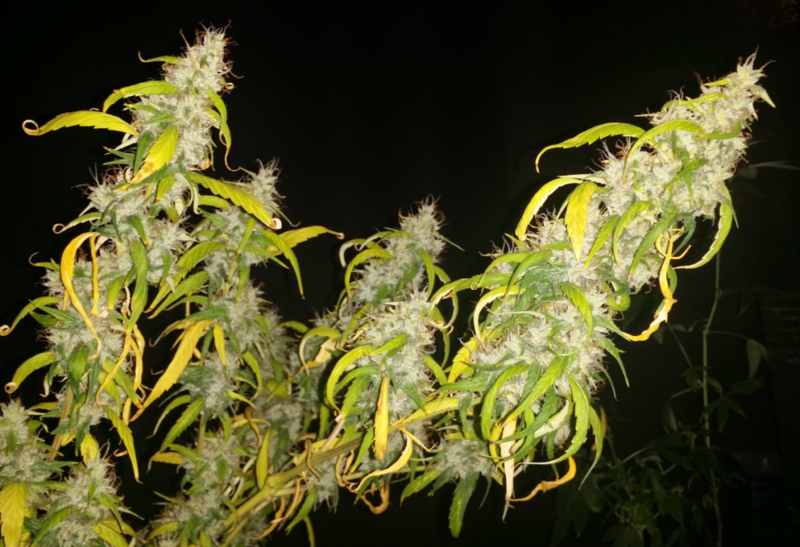 Lucky Charms Pure Kush – A small yielding, loud, marshmellow aroma. Super dank. Tall, lanky. Description: Flavor is straight OG, no fuel, no lemon but much louder than most OGs. Tall, lanky with small to medium sized buds. The buzz is very intense with mixed body and head effects. Backstory: VERY few people hold this cut. It is highly probable that this cut was sourced from an Orange County grower in 2005. Nspecta acquired the cut from him and shared it with thaDocta. It is very possible that c0ast acquired the cut from thaDocta while working with him in 2011. Coast then shared the cut with DocGreenStone’s collective in late 2011/early 2012 in NorCal. Description: Flavor is a fruity sweet (like candy) on top of earthy hash and has been described as a “kushy fruity pebbles”. Clones really easy but grows painfully slow. Not much stretch in flower. Where Bubba Kush is a great knock out stone the LAPK/Puss is a great daytime kush. Backstory: Pure Kush has been around in Northern Orange County & Southern LA since about 1996/97. LA Pure Kush comes out of LA, from howsitgrown who had the cut on lock for a long time. 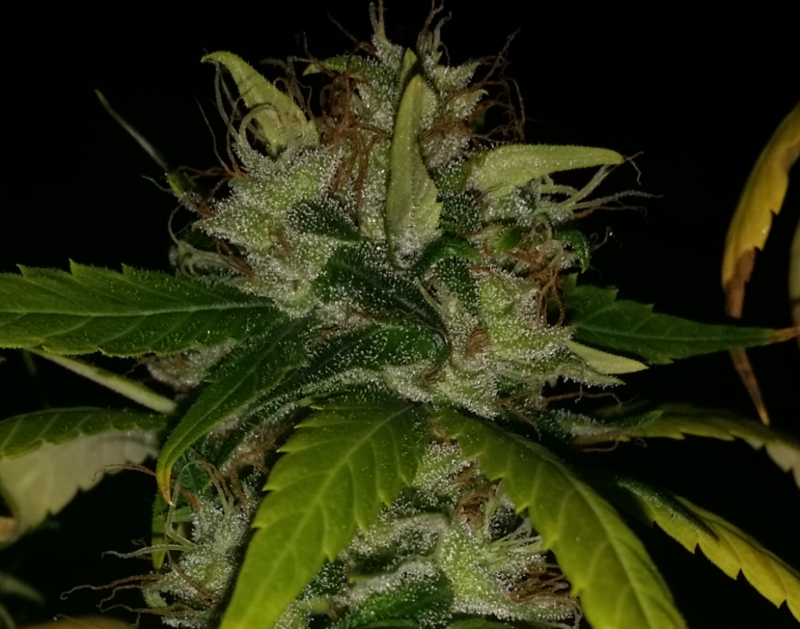 After howsitgrown shared cuts with some people it started being called Puss Kush by OG (Outdoor Grower). Origin of the “Puss” name: Another story of the origin of the name is: This guy Disco, from LA, sent the Puss Kush to IDD. Disco was told it was Puss Kush and the guy he got it from said he named it but it was really the guys uncle and his friends who named it that. The guy called it Puss Kush because he did not know what the “P” stood for. The guy Disco got his cut from got it from a guy who has had it since 1996. Description: A short, stocky, fat leafed afghani type plant that turns purple in late flower. The flavor is a dark peppery, earthy kush with a strong incense background. Backstory: Sugenite claims that he got his cut labeled as PK from “the old man” and his Asian friends in downtown Los Angeles, CA in 2004. In 2005 he claimed that “it might be a pk kush or different version of Bubba… it didn’t come labeled… but it definitely has OG in it” and then in 2006 he said he “was able to verify “pk” meant “Pure Kush” with the Asians”. And he claims that he thought it was Pure Kush himself because he remembered smoking Pure Kush back in 2000. It is highly likely that Sugenite is lying about his cut being a Pure Kush. NSpecta said that first Suge thought his cut was Bubba Kush and labeled his pix as such, then he started calling it Piss Kush, then Purple Kush and finally settled on Pure Kush. Sugenite is known to be liar and a game player. For instance he sent Swerve cuts of Pure Kush but then later chimed in on Swerve’s thread to say he actually sent him a hybrid (pure kush x leopard kush) and not the real PK. He said this because Swerve decided to sell/trade/gift the strain and Suge did not appreciate it.